If I'm in Chinatown for dim sum, this is where I'll usually head. They have some unusual dim sum and all the standard ones are good quality. Most restaurants in Chinatown do a few good dim sum dishes and the rest are mediocre or plain bad. Royal Dragon is pretty good across all selections of their dim sum. This is the best place for roast duck in Chinatown, and is no longer much of a secret either. Their roast pork, green beans with mince and tofu dishes are all excellent too. Great for dinner if you don't mind the queue. Small cosy restaurant that serves a good range of traditional Chinese dishes as well as new modern dishes. Ask for the 'Chinese menu' and the specials, so you get to order what the locals would. The above photo is a plate of beef ho-fun (flat rice noodles) and pepper with spicy salt squid from this restaurant. A typical cha-chan-teng set up, serving 'fast food'. 10-15 minute wait from order to table, one plater meals. Come here for braised beef brisket noodles in soup, wonton noodles and salted fish fried rice, to name a few. Same set up as Hollywood Cafe *HK Diner*, cha-chan-teng style. If you're wandering around at 4am after a night out and need some nibbles, you can always bank on Old Town 97. Fook-gin fried rice, egg tofu with mince on fried rice & shredded duck vermicelli in soup are some of the great offers here. A Taiwanese eatery offering some of the best xiaolong bao in town. These soup dumplings are good with the pork variety. Green beans with mince, aubergine with chilli and garlic are also must orders, and of course, the Taiwanese dishes mustn't be missed. Right next door is a great Singaporean/Malaysian restaurant. Roti canai with curry sauce, Hainanese chicken rice, and beef rendang are all outstanding choices. Red Hot on Charing Cross road specialise in Sichuan food, and also do hotpot. 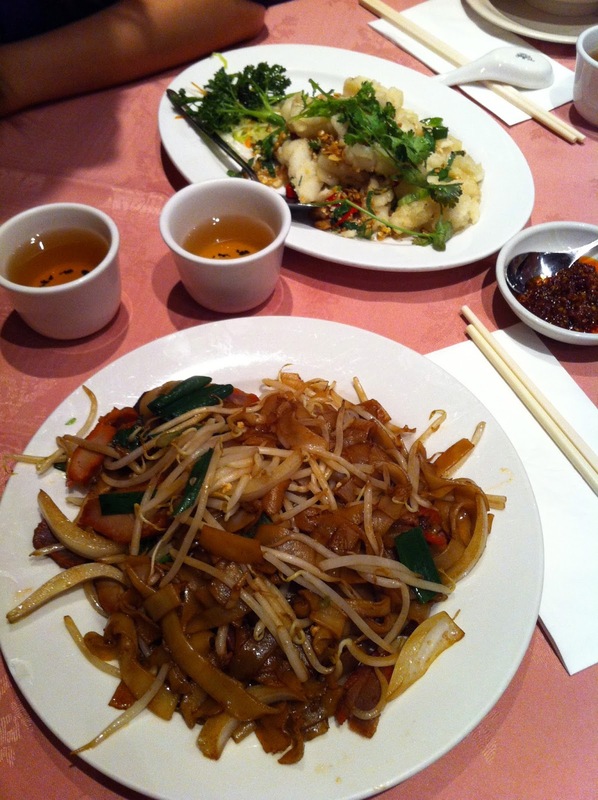 The northern Chinese food entails lots of dried chillies and peppercorn, so visit if you like spicy food. The double cooked pork, spicy squid with celery and spicy cold cut meats are lip-smacking. Just like Red Hot, they also serve Northern chinese food, in a typical eat-and-go setting. Dumplings in hot and sour soup, dan-dan noodles and milled corn congee can be found here. Ordering lots of the side dishes is also a great way to discover more northern Chinese cuisine. And for a sweet ending, come here for a piece of cake or a traditional 'tong shui'. They also serve savoury light bites. Hey Jasmin, hope you enjoy them when you visit!